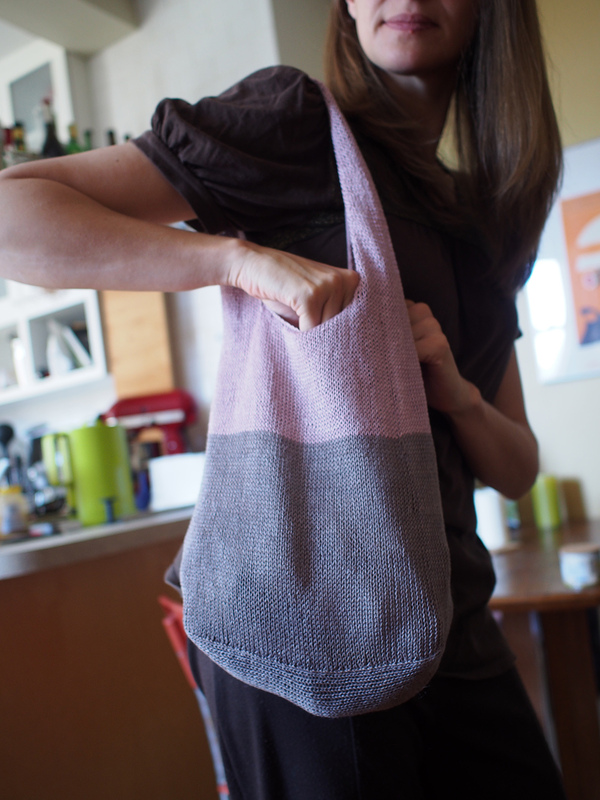 I've queued a million bag patterns to knit, but never managed to tackle any of them. My hang-up is usually about how on earth to get things to actually stay in them. 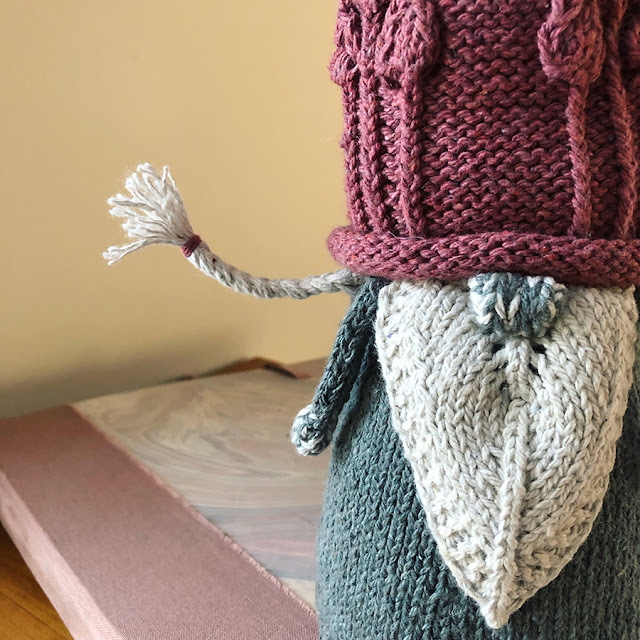 Knitting is loose and hole-y, and even if you knit carpal-tunnel tight, I'm sure that things will worm their way out eventually? Ways to avoid this: 1.) 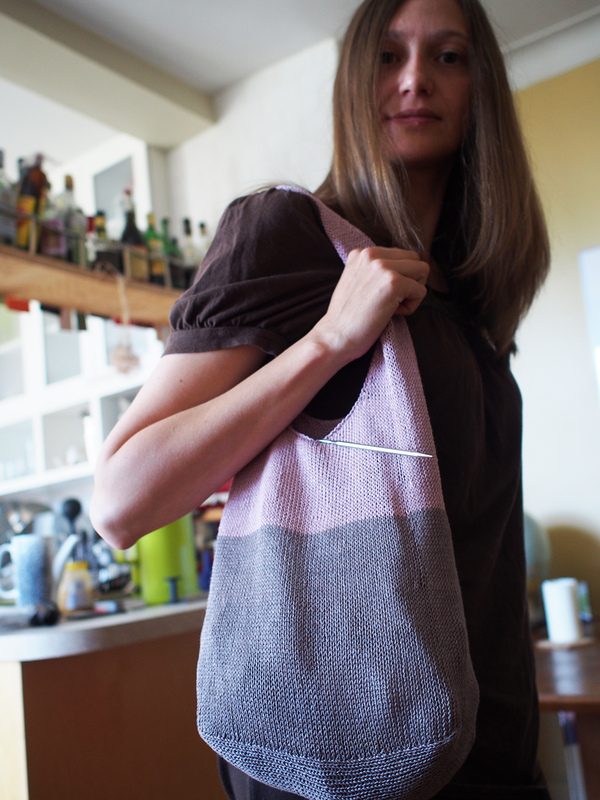 Line the bag (ugh, dragging out the sewing machine, doing a sloppy job, etc.). 2.) Felt the bag (ugh, dragging out the washing machine (ok, mine needs to be rolled to a sink for a hook-up, just to explain! 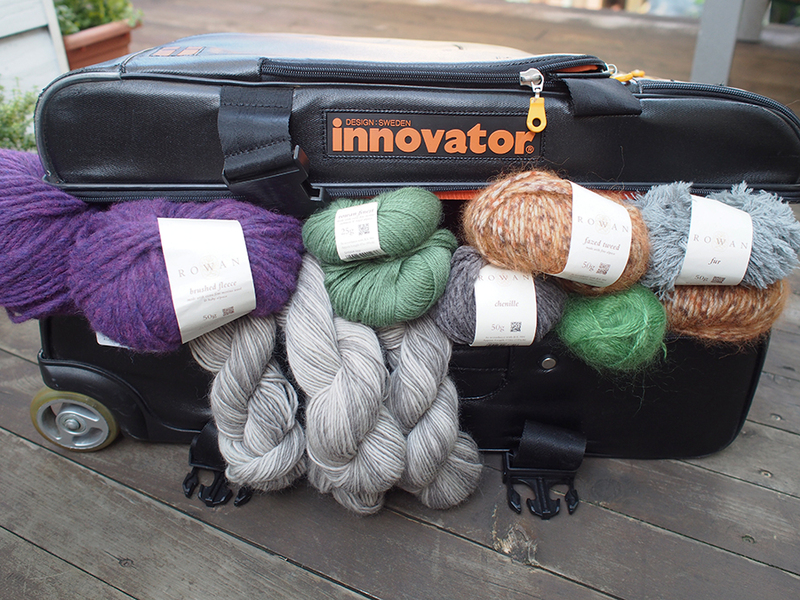 ), figure out how much your yarn shrinks, do an irreparably bad job, etc). 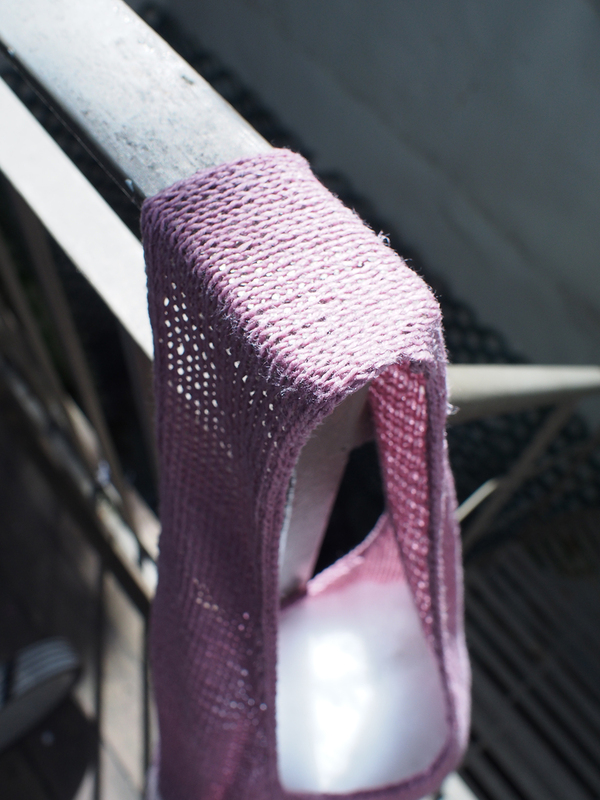 The pattern is called Summer Fling and uses Quince & Co. 100% linen yarn Sparrow. 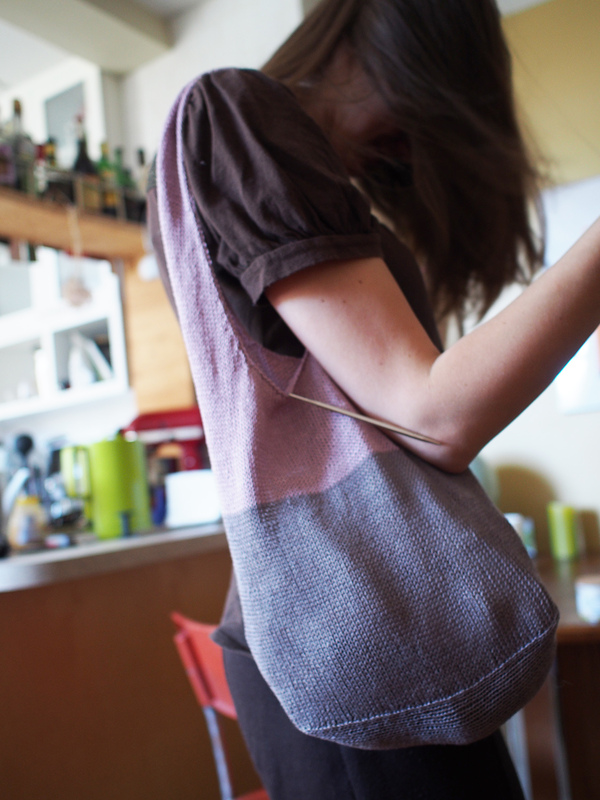 There are no seams and it is really quite fun to make. 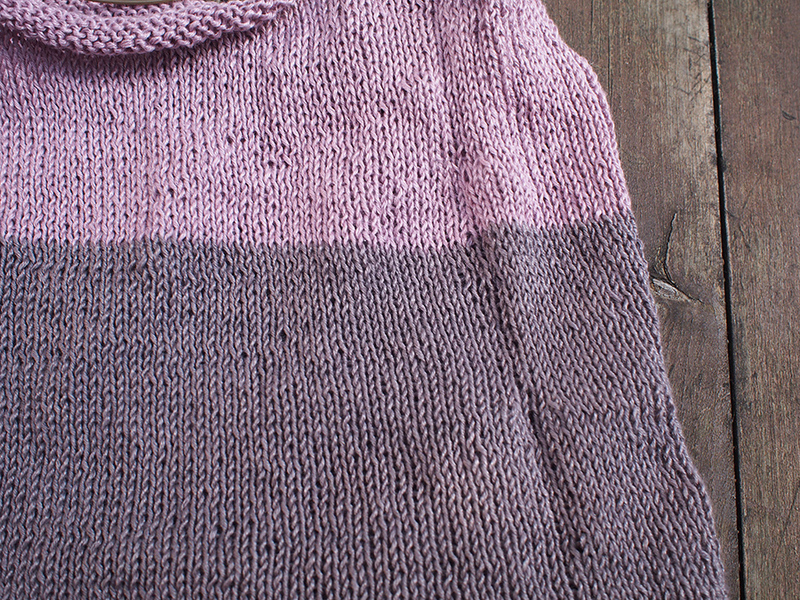 You simply make a strip and then pick up extra stitches along the side to knit in the round. 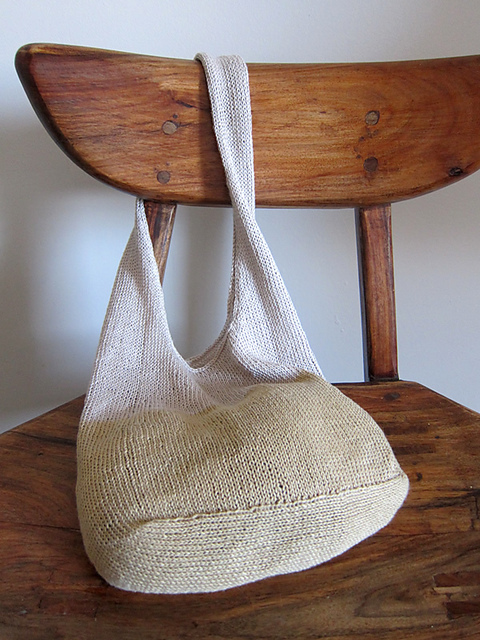 The cool hobo shape comes from a few decreases and keeping a wide swath of stitches on holders for the straps, which are grafted together in the end. I decided to try the Sparrow (you only need one skein each of two colors) as I was already playing with the new Rowan Pure Linen (see my blog post and review here) and wanted to compare. First off, the colors are simply gorgeous. They are muted, but not pastel. Grays, neutrals... but when there are bright colors they are the nice tones of them. Very impressed with the color palette. 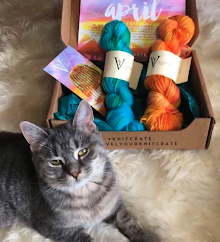 As for the yarn -- listen. This is a typical linen. 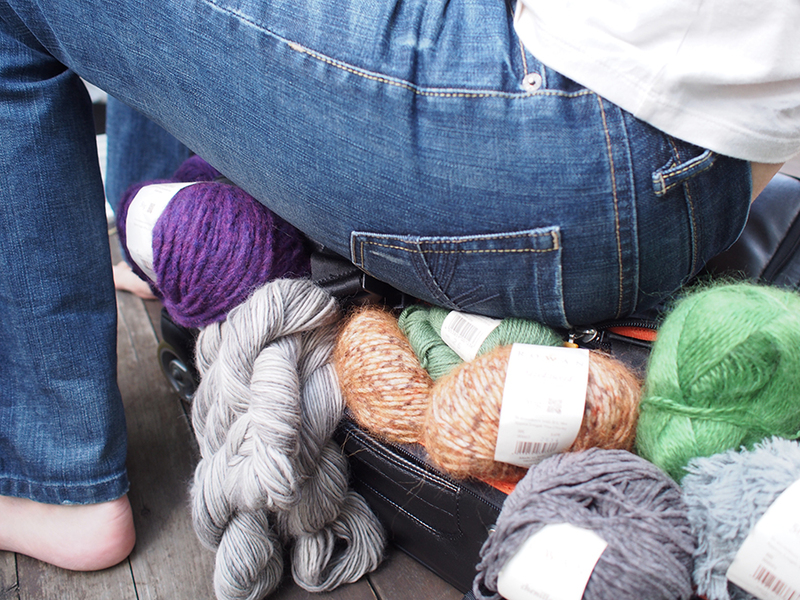 It's a twisted ply and frankly that means that it hurts to knit with after a few hours. The friction from running it across your thumb is pretty direct, and you will see your skin get red. I basically worked on it for a few hours and then had to wait a few days before picking it up again. BUT the fabric is really nice -- I suppose that's the price you have to pay for it! It is very clean, smooth and strong. There are some wonky stitches that turn up now and then (as I see with knitting with any firm fiber like hemp, etc), but it really does knit up beautifully. 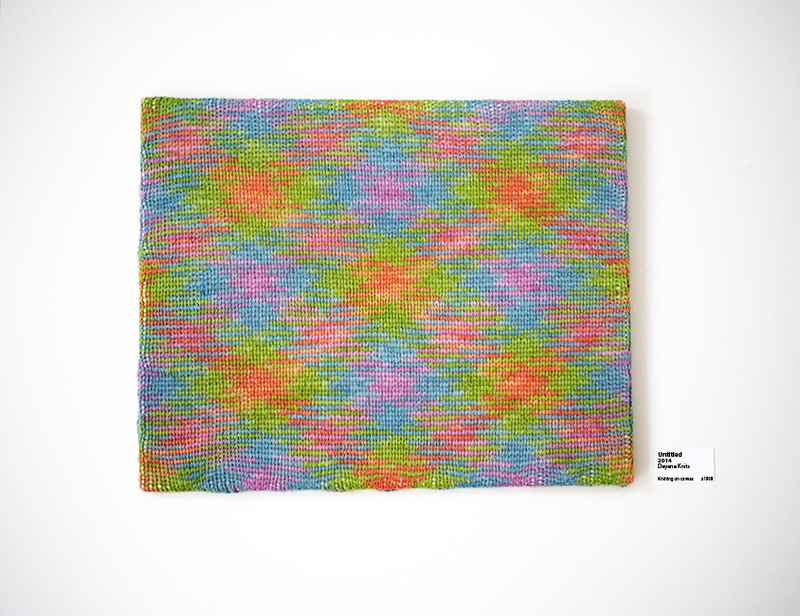 Mind you, I knitted a lot of it in the dark and strobes of an electronic music festival... so maybe you won't get any wonky stitches at all! 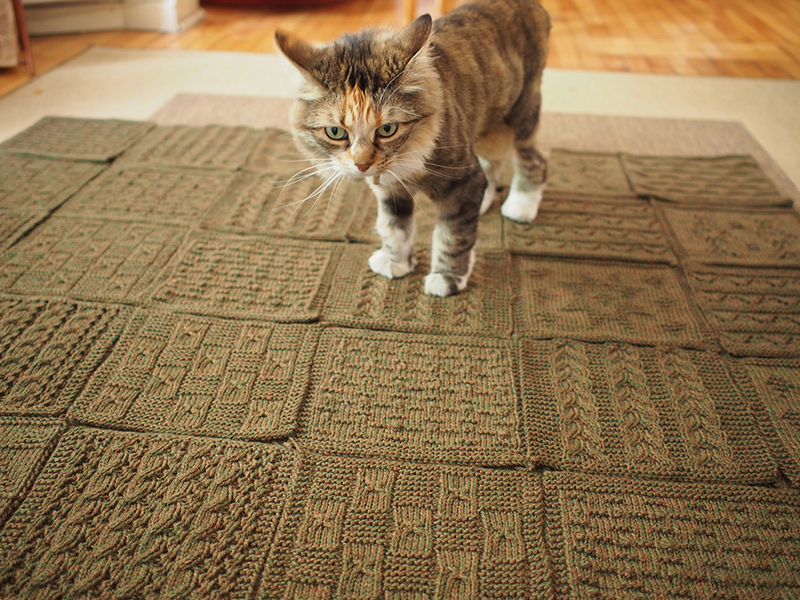 I followed this pattern pretty closely, except that I wanted to use as much yarn as possible. 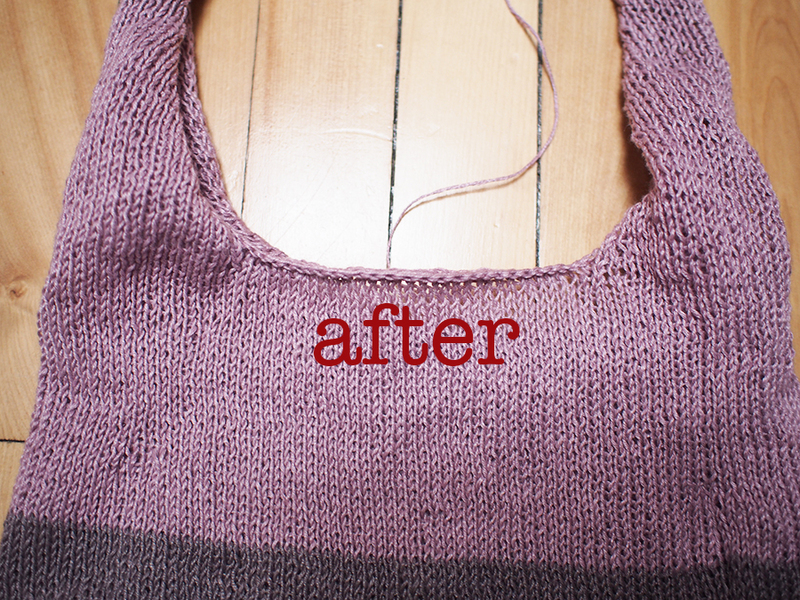 So, I knitted with the first skein until it was gone, which ended up being longer than you needed in the pattern. 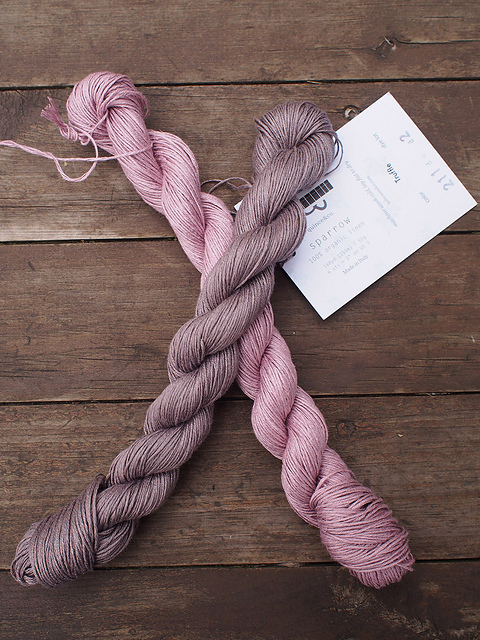 For the second color skein, I knit a lot more, gambling on whether I had enough for the straps. I didn't quite, but it turned out that they were long enough anyway. 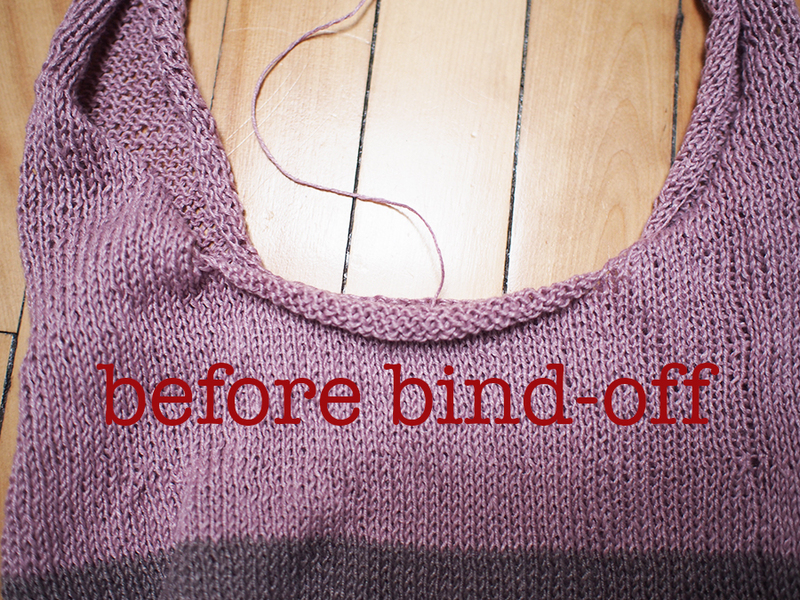 To keep the edges from rolling, you finish off with a pick-up and bind off all along the straps and edges. I made sure to do it really tight. You can definitely see a little puckering from that, but I prefer it to rolling! 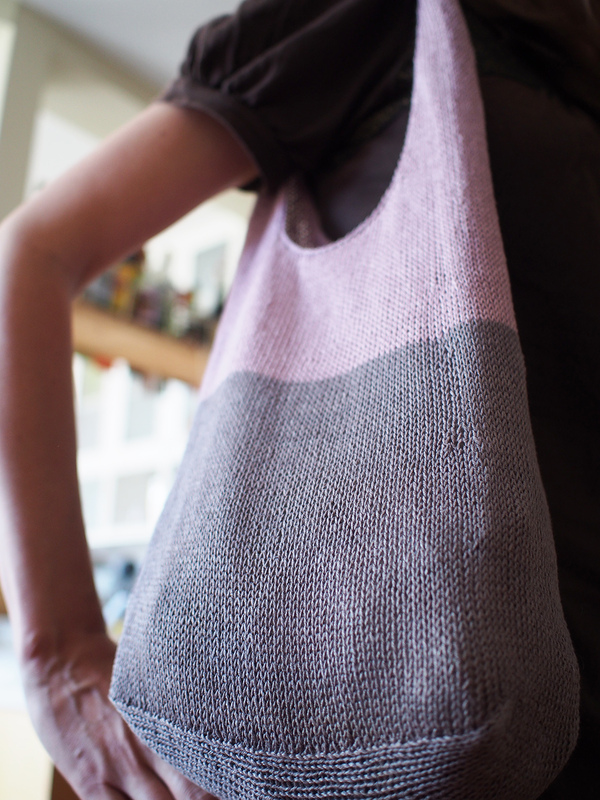 In retrospect, if you don't want that rolling edge at all, do the last few rows of the bag (omitting the strap stitches) in reverse stockinette so that it at least rolls inwards and not outwards. The big question is, how do you block a 3-D hollow object, right?? If I just got it wet and hung it, it would be stretched and the bottom would come up the sides. I needed to fill it with something. 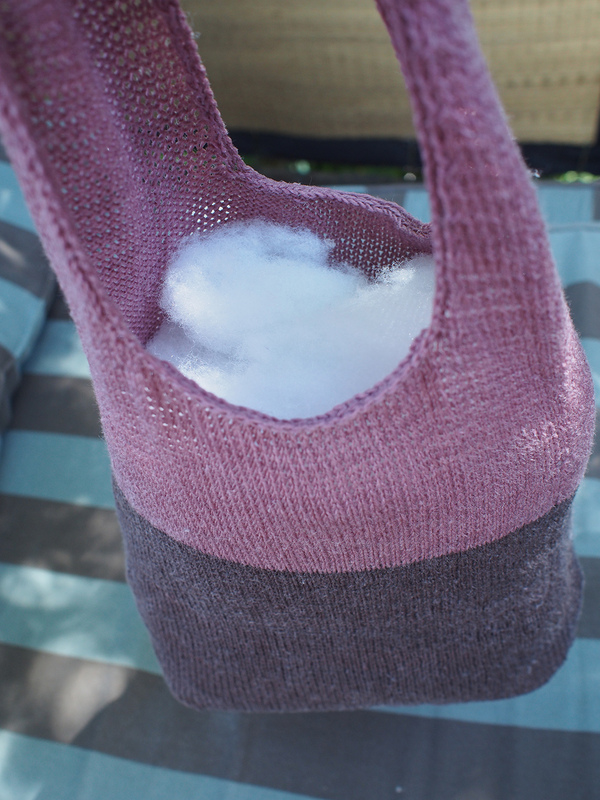 My first thought was polyester fiberfill, but I couldn't get it smooth, and I knew I'd end up with a lumpy bag. 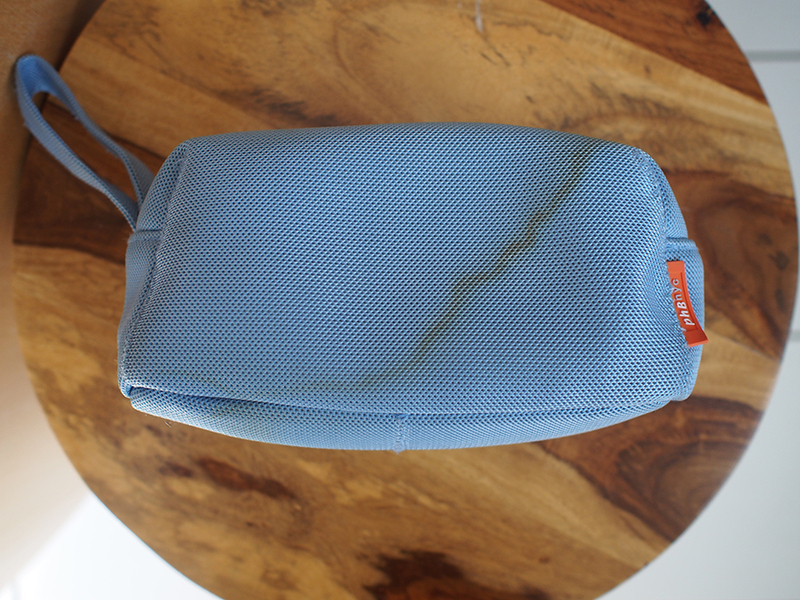 And then I though of this old travel toiletries bag I had... it turned out to be the perfect size of the bottom. ... put to good use! Keep the strap flat and wide. And you know what else?? 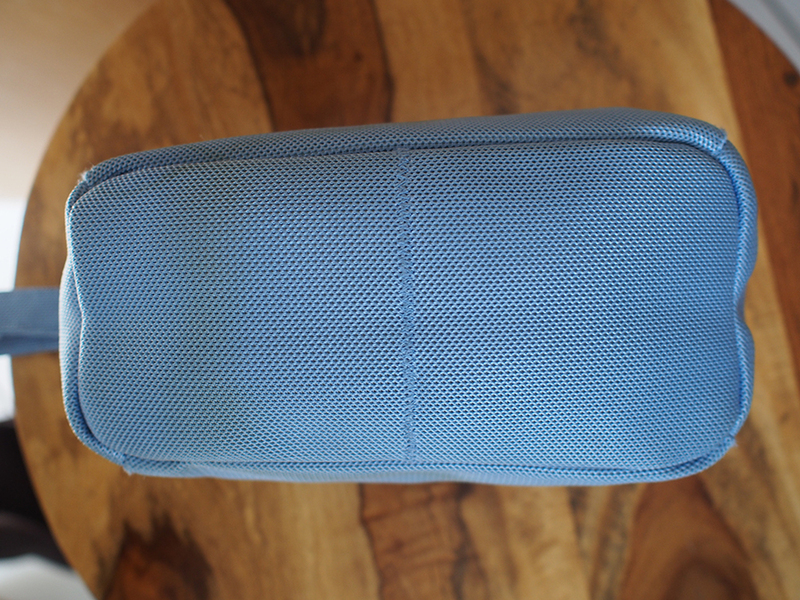 If I keep this toiletries bag permanently in there I'll get rid of my "everything falling out" problem... especially those pesky slippery point Addi knitting needles! **NOW** -- some of you may know that I didn't post last week because I was in the UK visiting the Rowan mothership!! Well, duh, of course it was amazing like you assured me it would be. :) SO, do stay tuned for an Seriously Inside Look at the Rowan Mill next week. And believe me, you did NOT want to be around while I tried to pack my suitcase!! I want to comment on a past blog where you tested lazadas curved blocking wires. On your recommendation, I ordered mine and used them last weekend to block Auburn Wave. They are fantastic, not expensive and arrived quickly. Thanks for the tip. I will have to check that out. I am Highlights on Ravelry...you can find my Auburn Wave there. I'm not as prolific as you. I did forget to say what a great hobo bag this morning. Looks perfect! 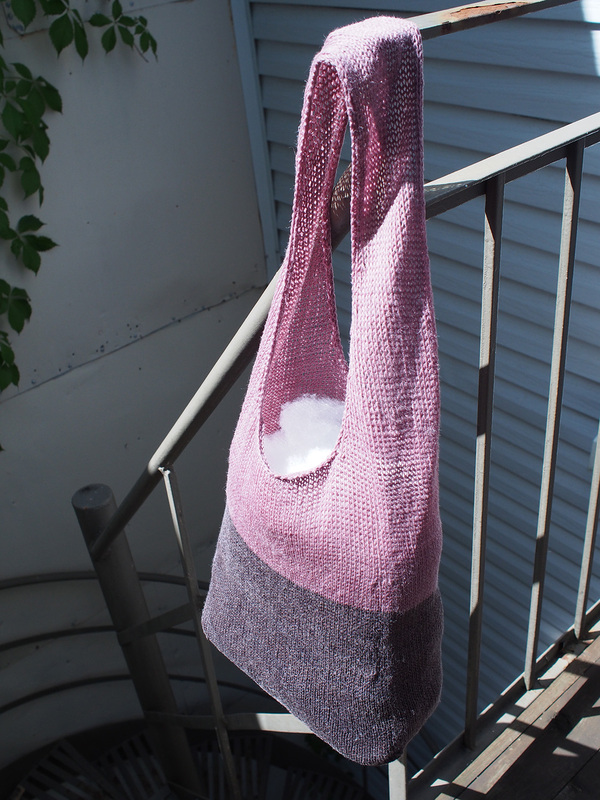 Thanks for the tips on knitting a linen bag. 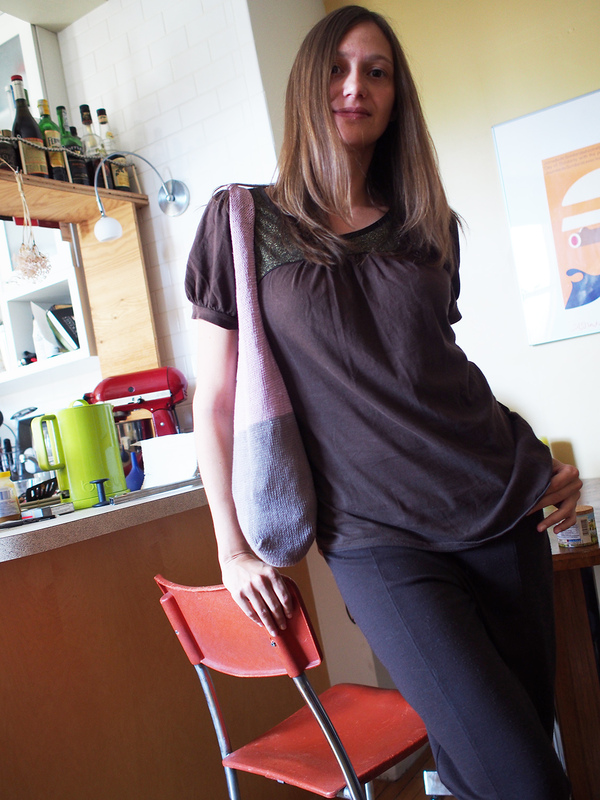 I have some Eurolinen which has been waiting for a decade to become a market bag . 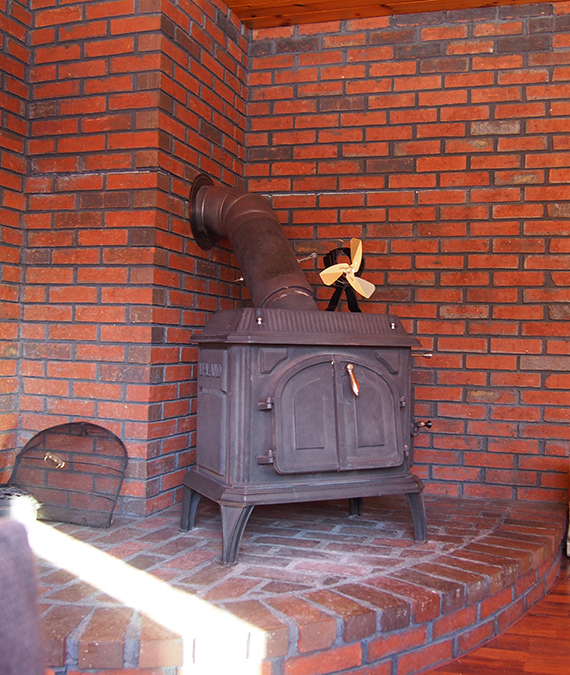 . . it may not be enough for this cool design, though! I have always wanted to try Eurolinen/Euroflax but I'm still scared! I think my hands are just too weak, I need to start gardening or something to toughen them up! I was a smart cookie for once and didn't pack that much to go. OH, and I had an extra canvas bag I could stuff with stuff and use as a carry on, that really saved me. Thanks, that toiletries bag finally got a use, I love when that happens. I saw this bag in person! I loved it! I also found the Sparrow to be too hard on my hands, but did like the final project. Hee hee, how cool is that? Too funny! You seem to have managed to get everything in the suitcase! Am seriously looking forward to next week's blog about Rowan!! Ok, that's going to be a few weeks from now, I've decided. Many of my Rowan Ambassador compatriots have posted about it this week, so I'm going to give people a teensy weensy break. Thanks, too, for all the Rowan spoilers you've been sharing -- I can't wait to hold the new magazine in my hands! And now you have it, woohoo!!! 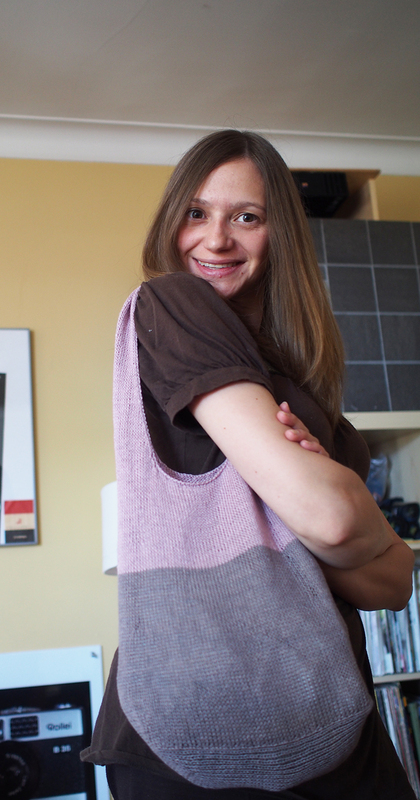 It is lovely and beautiful bags, I love the fabric and the style you go.